I suspect that the usual readership of The Shofar can take a pretty good guess at the answer to the title question. However, Peter does exhort us, always being ready to make a defense to everyone who asks you to give an account for the hope that is in you (1 Peter 3:15). This article is presented for edification in defense of the Word of God, wherein we find the words of our hope. Please note that the article was copyrighted in 2005 ~ ed. "Although [Paul] sees the Jews as having rejected Christ, this does not lead him to hate them. It leads him to sorrow and a love so deep he would be willing to go to hell for them (Romans 9:1-3, 10:1). This is the model for our attitude towards the Jewish people that the New Testament offers." Few recent films have attracted more controversy than that surrounding Mel Gibson’s The Passion of the Christ, a depiction of Jesus’ trial and death. It has attracted accusations of anti-Semitism - of inflaming hatred of Jews by portraying them as responsible for Jesus’ murder. This is an extremely serious accusation. The history of Christian hatred of Jews is appalling, and contributed to the murder of 6 million in the Nazi death camps. Jews were referred to as “Christ-killers” by the mobs that sought their lives, and Matthew 27:25 was used to justify this. 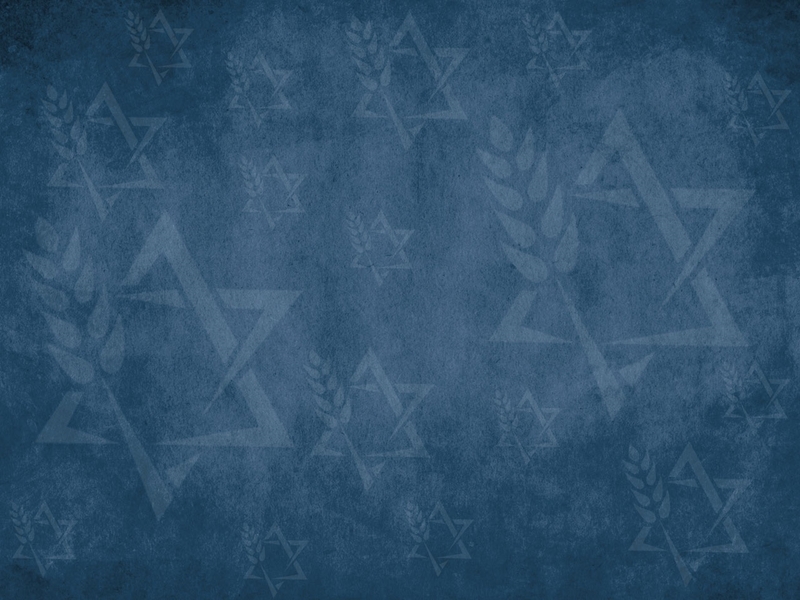 The concerns of Jewish leaders should not be dismissed lightly. Anti-Semitism is on the rise in Europe, (we used to live near a Jewish primary school - it had to be protected by barbed wire and massive iron gates). Even if the film is not intentionally anti-Semitic, we must understand why Jews are afraid, and do everything we can to defend them. But it is not only the film that has come under attack. Mel Gibson apparently intended it to be true to the Gospel’s account of Jesus’ trial and death, and judging by first reports it is reasonably faithful. Therefore, the attack on the film has become an attack on the Bible, and many are now accusing the Gospels of being anti-Semitic, of trying to pin the blame on the Jews, and especially the high priests, when really it was Pontius Pilate and the Romans who were at fault. I hope to show that the Bible does not give the slightest foundation for anti-Semitism. For a more thorough examination of this issue, I would highly recommend Graham Keith’s book Hated without Cause? A Survey of Anti-Semitism (Carlisle: Paternoster, 1997). But before I answer the charge, I must say two things. First: I find it fascinating that so many clergy want to exonerate the Jewish priests and put the blame on Pilate. It’s safe to hate Pilate: he isn’t like us, and he confirms all our prejudices about soldiers and politicians. But the priests are too much like us. If they were responsible, then that strikes too close to home. So some of those attacking the gospels may not be as disinterested as they appear. The second thing is this: I am myself of Jewish descent. According to family tradition, we were cloth merchants in Manchester, and I am a descendant of an Orthodox Rabbi called Solomon Isaacs. I am told that many Ashkenazi Jews fled from persecution in Russia in the 19th century, and settled in Manchester, so I suspect that my ancestors were among them. Either Rabbi Isaacs’ daughter or his grand-daughter was my great-great grandmother; she married a gentile and was ostracised from the family. Some Rabbis believe that Jewishness is passed through the female line, and in their eyes I would be “technically” Jewish. I believe that Yeshua the Nazarene is the Messiah God promised to my fathers. So to the Gospels. Here we must face the truth, however unpleasant it is. According to all the historical sources, the Jewish High Priests were the instigators of Jesus’ judicial murder. There is not a scrap of evidence that they were innocent, and the Romans were the real culprits. This is true not only of the Gospels, but of the book of Acts, and also of the Talmud, the collected writings of the early Rabbis. According to the Talmud, Jesus was executed for “sorcery” and leading Israel astray (b. Sanhedrin 43a, 67a). It makes no clear mention of the Romans at all. So if the Gospels are anti-Semitic because they put some of the blame on the priests, we are in the ridiculous situation of saying that the Talmud is doubly anti-Semitic because it puts all the blame on the Jews! To suggest that the Jewish priesthood had nothing to do with Jesus’ death is to stick our head in the sand. This does not mean that the Romans are exonerated. I fail to see how anyone can read the Gospels and think this. Pilate is portrayed as a cynical, bullying coward who sacrificed an innocent man to save his own skin, vainly trying to escape responsibility for his own actions. Roman “justice” is exposed as self-serving imperialism. According to Acts 4:25-27, the cross was a collaborative effort between Jews and Gentiles - in fact an act of anti-Semitism, because it fulfilled the ancient hatred of the nations for God’s chosen. Therein may lie the solution to our problem. The fact that the High Priests and the Sanhedrin (the Jewish ruling council, comprised of both priests and Pharisees), plotted Jesus’ death, does not of course mean that the whole Jewish people can be held responsible, or that the Gospel writers thought that they were. The crowd that yelled “his blood be upon us and on our children”, probably comprised simply the Jerusalem mob, and they did not have the right to speak for the rest of the Jews. There is no indication that Matthew saw this as making all Jews uniquely responsible for Jesus’ death. This is confirmed by the speeches in Acts: when Peter speaks of Jesus’ death to Jews in Jerusalem shortly after the crucifixion, he accuses them of complicity in it (2:23,36, 3:13-14); but when Paul is speaking to diaspora Jews many years later, the note of accusation is muted (13:27-29- the blame is specifically put on those who live in Jerusalem”). It is true that John’s Gospel blames “the Jews” for the opposition to Jesus. It may be, as has often been observed, that John is written from the perspective of Galilee, and that for Galileans “the Jews” meant “Judeans”- the inhabitants of the area around Jerusalem (see John 7:1). In any case, John contains some of the most positive statements about the Jews in the New Testament - including the description of Jesus as “a Jew” in 4:9, and Jesus words in 4:22: salvation is from the Jews. John also records that not all of the Jewish leaders were hostile to Jesus: Nicodemus the Pharisee protested against the plot to kill him, and helped with his burial (7:50, 19:39). This makes it very difficult to see John as anti-Semitic (for a further defense of John, see Steven Motyer Your Father the devil? A New Approach to John and the Jews (Carlisle: Paternoster, 1997). Indeed, the Gospels as a whole portray Jewishness as a positive thing. 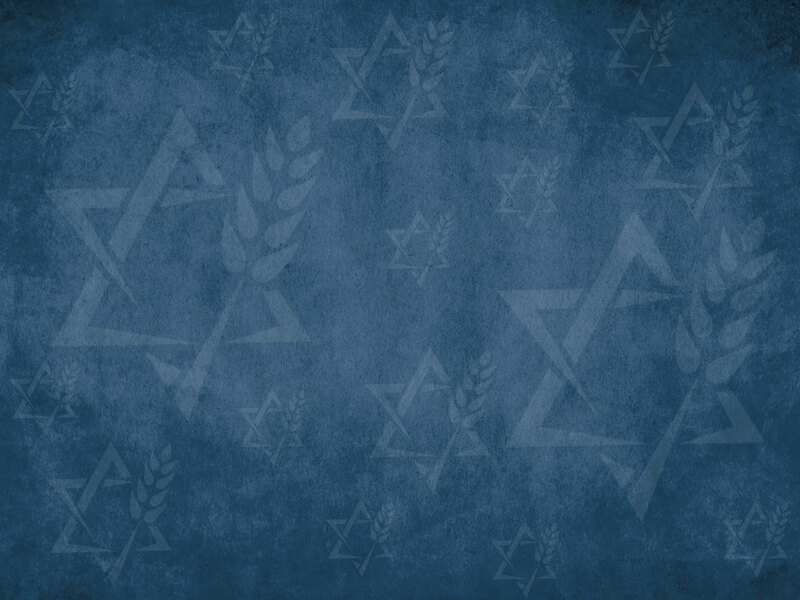 There is little sign of the attempt to distance themselves from Judaism that some critics have claimed to see. Jesus affirms the Jewish law, (Matthew 5:17-18), habitually attends the synagogue, (Luke 4:16), and takes part in temple festivals (John 7); and Luke, normally considered the most “gentile” Gospel tells us that Jesus was circumcised! No anti-Semite could have worshipped a circumcised God. Above all, there is an overwhelming desire to show that Jesus fulfilled the Jewish scriptures, and to persuade Jews that he is the Messiah. This is especially strong in Matthew, the Gospel that is often accused of holding all Jews responsible for Jesus’ death. There were anti-Semites in the early church; one of them, Marcion, produced a version of the New Testament with all the “Jewish” elements taken out (which makes it very short). But Marcion was condemned as a heretic. The anti-Semites did not write the Gospels. It is better to see the criticisms of Jews or their leaders in the New Testament as part of a tradition of Jewish internal self-criticism that goes back to the Old Testament. The prophets can say the most ferocious things about God’s people, and portray them as collectively under God’s judgment. But they always identify with that people, and never doubt their election or God’s love for them (for example, compare Hosea 9 with Hosea 11:8-9 & 14:4-8). The Gospel writers wrote in the same way - and in this they followed their Master. To describe the Gospels as anti-Semitic is blinkered and anachronistic. I suspect that many of the academics and journalists who make that charge are more interested in discrediting Christianity than in the truth. However, this does not quite get us off the hook. Because the New Testament does not simply say that it was one group of Jews who rejected Jesus. It does clearly say that his people as a whole rejected him, and are responsible for that rejection. John 1:11: he came to his own, and his own did not receive him. Acts also accuses Israel of a corporate rejection of the Messiah (Acts 4:27). Paul speaks of a collective failure of Israel (Romans 9:31-33), and a collective blindness that has come of the Israelites of his time when the law is read (2 Corinthians 3:12-15). With regard to John, whether by “Jews” John meant simply “Judeans”, or was referring to the Jewish people more inclusively, it does not follow that he was trying to turn them into objects of hatred. In John 8:23, Jesus tells the Jews you are of this world. This means that the Jews in John’s Gospel represent the world. Their behavior is typical of the behavior of the whole world, Jew and Gentile. Looking at them is like looking into a mirror; they show us what we are all like. The world always rejects Christ; the rejection of him by the Jews is one example of this. Thus there is no excuse for turning the Jews into figures of hatred who are uniquely evil. That would be pure self-righteousness, which the Bible never condones for a second. Instead we should look at them, and see sinners like us, mourn for our own sins and rejection of Christ, and thank God for his mercy in forgiving us, (this view of the Jews in John is taken from Michael Ovey “The Son incarnate in a hostile world” in David Peterson, Ed., The Word Became Flesh [Carlisle: Paternoster, 2003]). With regard to Paul, we do not have space to fully examine Romans 9-11, where he explains his view of the Jewish nation. But we should note that although he sees the Jews as having rejected Christ, this does not lead him to hate them. It leads him to sorrow and a love so deep he would be willing to go to hell for them (Romans 9:1-3, 10:1). This is the model for our attitude towards the Jewish people that the New Testament offers, not a model of hatred and anti-Semitism. How many of us can say that we have lived up to it? Paul does not see the Jews as lost for ever; he believes that they still have great privileges, and a place in God’s plan (Romans 9:4-5, 11:25-32). God still loves his ancient people and has a future for them, a future that is bound up with Christ; the greatest evidence of God’s love for the Jews is the gift of his son, and the fact that some Jews still acknowledge him as Messiah (Romans 11:2-5). Finally, Paul does not see the Jews as uniquely sinful. The conclusion of his argument in Romans 1-3 is that all, both Jews and Greeks, are under sin. Gentiles do not have the slightest reason to think that they are superior to Jews, a point Paul expands on in Romans 11:17-24. But if all are under sin then all are equally under God’s mercy: there is now one way of salvation, by faith in Christ, for both Jew and Gentile (Romans 1:16-17). I hope I have shown that the Bible gives no foundation whatsoever to anti-Semitism. Hatred of Jews is a vile evil. If any of us have ever been guilty of the slightest hostility towards Jews, even if it was just in the form of “innocent” jokes, then we have sinned and must repent. Instead we should take every opportunity to show our love to them (and in this respect, let me recommend the organisation, Christian Witness to Israel, www.cwi.org.uk). When we look at the cross we see what all of us have done to God - we have despised and rejected Him. There is no room for self-righteousness, or pinning the blame on one group. Yet we also see God’s love for Jew and Gentile; and we see the terrible price of that love. We see one man bearing the wrath of God in our place. For the final answer to the question “who killed Jesus?” is “God did” - it was the will of the Lord that he should suffer (Isaiah 53:10). God loved those who hated him so much that he sent his own dear Son to die - and his Son loved us so much that he accepted the job. Far be it from me to boast except in the cross of our Lord Jesus Christ, by which the world has been crucified to me, and I to the world. For neither circumcision counts for anything, nor uncircumcision, but a new creation. And as for all who walk by this rule, peace and mercy be upon them, and upon the Israel of God. At the time of the writing of the article, Steve Walton was Vicar of Marbury, Tushingham, and Whitewell in the Diocese of Chester, Church of England. More of Revd. Walton's articles and many other informative articles may be found at http://www.theologian.org.uk/.